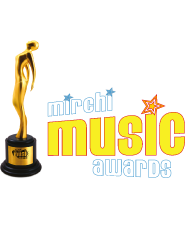 For the all award categories, songs included in the music of Tamizh, Telugu, Kannada and Malayalam languages films released in the calendar year of 2017 i.e. between Jan 1 to Dec 31, 2017, will be considered for the current year’s Awards. This can be changed at any time and is at the discretion of the Jury. For the purpose of verification, the film/Album release date and not the music release date will be considered for participation in the Awards. The film/Album should have been released theatrically in India for the first time during the calendar year 2017. It must be over 60 minutes in running time and must be first publicly exhibited before a paying audience in a commercial motion picture house in India between during the said period, following normal commercial release procedures. ENIL will also collect music data for the period from up to two large format music stores, Box Office Magazine Publication List and Digital platforms. This will be collated with ENIL’s music database and the Box Office Magazine Publication List to determine the film released during the year. Film music - Songs from the films that released within Jan 2017 to Dec, 2017. Private albums - Songs from the private albums that have been first released within Jan 2017 to Dec, 2017. This can be changed at any time and is at the discretion of the Jury. Participation of films not produced in India, or foreign language films dubbed into Indian languages will not be considered, unless the category definition allows the same. All participants/listeners, indemnify ENIL, its advertising agencies, advisers, sponsors, its affiliates and/or associated companies against any and all claims of any nature whatsoever arising out of and/or from their participation in any way howsoever in participation of Awards or voting (including, as a result of any act or omission, whether as a result of negligence, misrepresentation, misconduct or otherwise on the part of the Promoter) and/or use of these Rules and Regulations. All entrants /listeners in the voting of Listeners Choice Awards release Facebook/ or any other registered platform all liabilities and claims arising out of or in connection with this Awards and these Rules & regulations. Enil Disclaims All Liability Whether Based In Contract, Tort (Including Negligence), Strict Liability Or Otherwise, And Does Not Accept Any Liability For Any Loss Or Damage (Direct, Indirect, Punitive, Actual, Consequential, Incidental, Special, Exemplary Or Otherwise) Resulting From Any Use Of, Or Inability To Use, The Site Or Any Other Web Site, Or The Material, Information, Software, Facilities, Services Or Other Content On The Site Or Any Other Web Site, Regardless Of The Basis Upon Which Liability Is Claimed And Even If Enil Has Been Advised Of The Possibility Of Such Loss Or Damage. Without Limitation, You Assume the Entire Cost of All Necessary Servicing, Repair or Correction In The Event Of Any Such Loss or Damage Arising. If Applicable Law Does Not Allow All Or Any Part Of The Above Limitation Of Liability To Apply To You, The Limitations Will Apply To You Only To The Extent Permitted By Applicable Law. All disputes relating to or arising out of the Awards shall be subject to the laws of India, and shall be subject to the exclusive jurisdiction of the courts of competent jurisdiction at Bangalore, India. The Participants, Nominees and winners agree that they shall hold harmless ENIL and event Sponsors, their employees, officers, contractors or other persons and shall defend them against any loss, claim, demands, costs, damages, judgments, expenses or liability arising out of or in connection with any or all claims whether or not groundless, that may be brought against ENIL (and the others mentioned above) by any third party in connection with participation in or winning the Award.